South Korea's first 3D fashion show to be held in May will be the largest ever in Asia with finished fashion products coming from over 80 companies in various countries, organizers said. 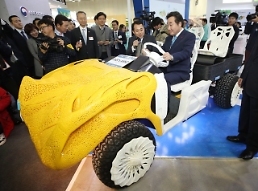 The 3D Printing Industrial Association (3DPIA) will hold the three-day show on May 25 in Gumi, an industrial city some 195 kilometers (121 miles) south of Seoul. A 3D printing fashion show has been held regularly abroad, but it's still an unfamiliar industry for many consumers in South Korea. 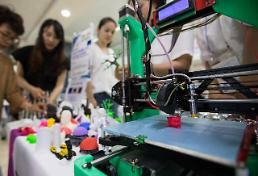 3D printing has been spotlighted as a key future technology of the Fourth Industrial Revolution. The fashion industry has welcomed it because of its ability to produce integrated materials including fabrics in complex designs. While other fashion shows focus on introducing new fabrics and materials, as well as finished clothing, the 3DPIA event in South Korea will mainly introduce finished products. Also, a Kookmin University research team will unveil advanced 3D printing technologies that would allow quick and simple production of 3D printed clothes without manual work. 3D fashion printing was once considered a picky subject as the process required a lot of time and manual work to connect individual 3D printed fabrics.